Box braids are my favorite low maintenance natural hairstyle. They’re so easy to do. Anyone can box braid. You can make them any size, and style them any way you want. 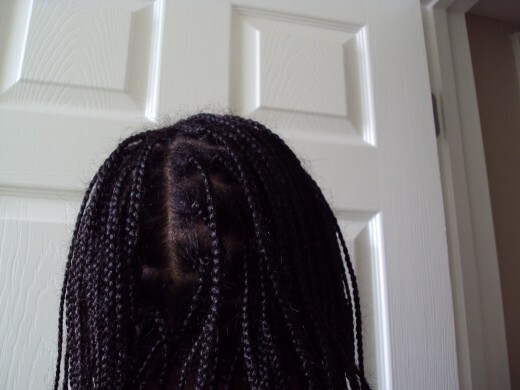 Box braids got their name, because the parts made in the hair look like little boxes. If you know how to braid pig tails or a ponytail, then you can box braid. The braids are simply smaller in size. 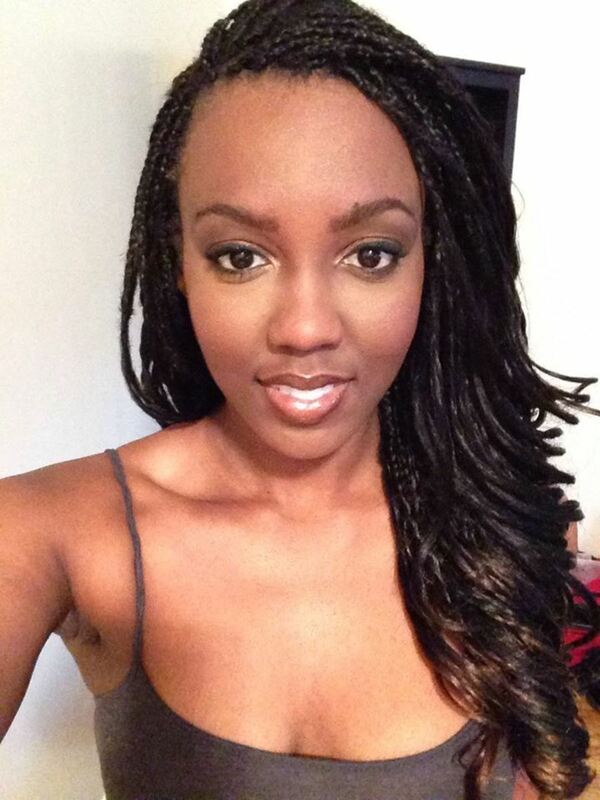 Box braids can be a bit time consuming depending on the length of your hair. My hair is armpit length so it can take upwards of 6 hours ( I take lots of breaks) I love wearing box braids because they can be worn for weeks. Imagine not having to comb your hair everyday. Waking up with your hair already styled is convenient. I’ve worn box braids for a month before, and loved it. Now let me make this clear, you can wash you’re hair while its braided. I’ve noticed that a lot of people, who wear braided styles, don’t wash their hair enough. This is not only unhealthy for you’re scalp and hair ,but you’re hair will smell! Yes its true that black hair doesn’t need to be washed everyday because our hair is naturally very dry. But it still needs to be washed. And no, water will not make you hair dry. This a myth. Water is moisture. Black hair needs products to seal in this moisture. Here are some articles about the best products for black hair. Maintenance is the key to keeping your braids looking great. I keep my braids in for 3-4 weeks. I wash and condition my hair about twice a week. I moisturized my hair every time I wash. I use Komaza Care’s Coconut Curl Hair Lotion. This stuff is amazing, it smells amazing and it does the job. My hair felt moisturized without feeling greasy. The oils in this product are natural and work well in black hair. I want to dispel another myth in black hair care. Greasy doesn’t equal moisturized, it equals greasy. Moisture comes from water, so in order for hair to be moisturized, it needs water not grease. Black hair doesn’t need to be grease laden to be healthy. Actually, thick oils will clog the pores on the scalp, and slow hair growth. Contrary to popular belief, our scalps don’t need to be oiled either. The scalp produces enough oil on its own. Applying even more oil on the scalp will cause build up. Black hair gets dry, because the curl pattern prevents oils from reaching the ends of hair. Hair products only need to be applied to the braids, not the scalp. 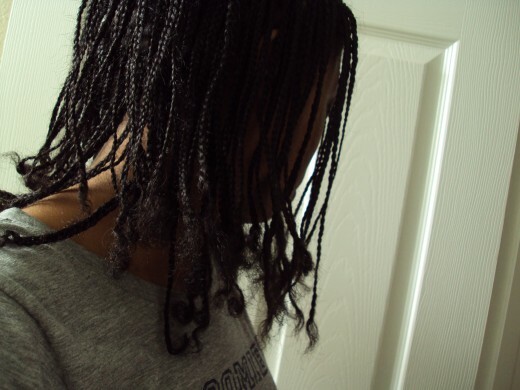 I apply natural oils like coconut oil, or shea butter to damp braids. This will keep my hair moisturized for a couple of days. I also sleep on a satin pillowcase. Regular pillow cases cause damage to hair, and makes braids frizzy. Satin decreases the friction caused when you toss and turn. As a result, you’ll wake up with better hair days. I love wearing box braids because they’re so versatile. I can wear them down for a sporty fun look, or wear them up in a sophisticated updo. 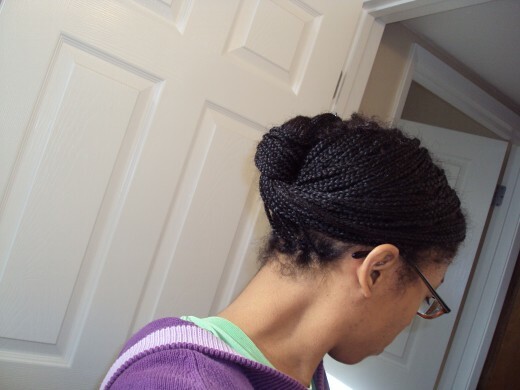 Here’s a picture of the last updo I wore with braids. First I split the braids in two sections. Then I twisted them together in an upwards motion. I pinned the ends up and left a few braids down in front to frame my face. Going natural hair ideas for black women transitioning from relaxed styles. Learn how to grow and maintain length for natural hairstyles. Short, sweet, to the point, FRxE-eEactly as information should be! What a beautiful moenmt with your daughter. I also have a twelve your old daughter. And after having married off my oldest daughter just a few weeks ago, I realize all to well how fast time flies. Treasure every moenmt! Have a beautiful week my friend. Interesting hub.i have waist length hair, so it would take forever, but I enjoyed the hub greatly!